We’ve recently moved into an apartment without a medicine cabinet, so we had to find a place for our bathroom accessories. 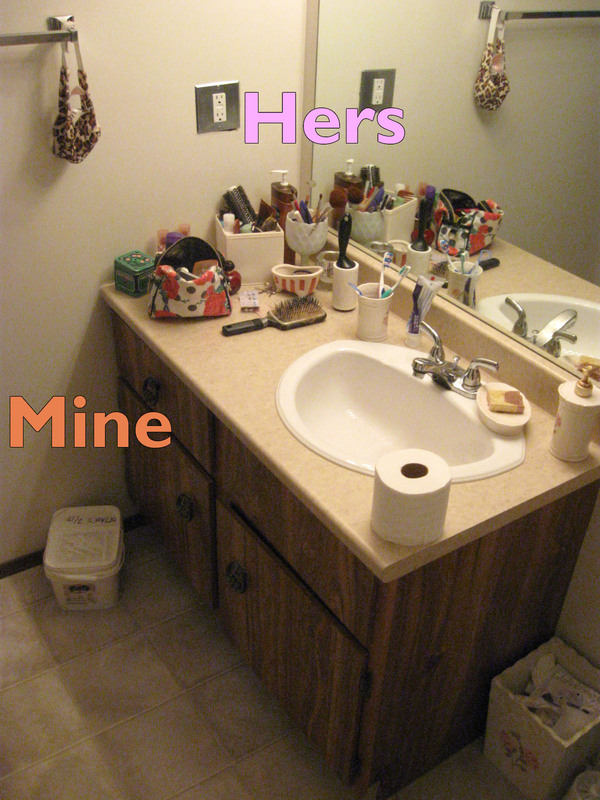 Over the last week my girlfriend’s things have spead over the counter like mold in a petri dish. If you look closely, you’ll notice my items efficiently stored out of the way in a neat handled bucket. It may surprise you to learn that the person I live with has not wholeheartedly adopted bucket life like I have. Rest assured I am working on her. Update: Upon seeing this picture, she moved my pail to the linen closet. Apparently it doesn’t meet her decorating specifications.